Over the last 36 years Bill has traveled 1.5 million miles spanning 38 states conducting 660 prison crusades nationwide. Literally thousands upon thousands have given their hearts to Jesus Christ as a result! The main reason Mid-America Prison Ministries has been so effective and fruitful in it’s ministry to prisoners is the Discipleship ministry. 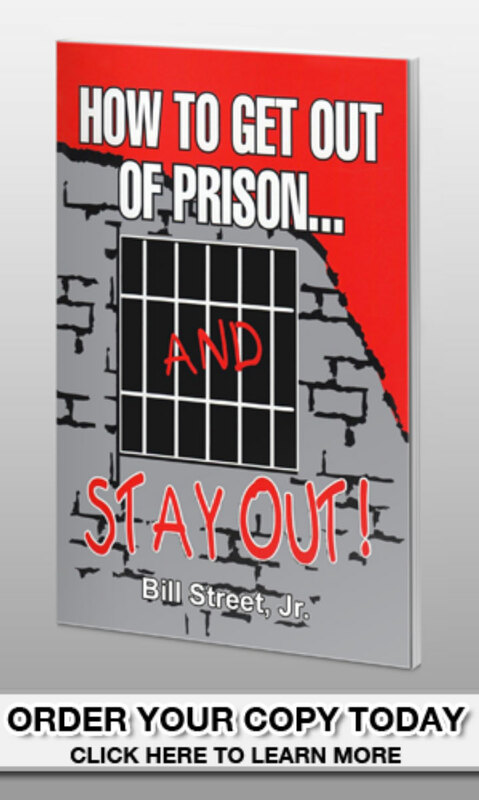 After a crusade, inmates write to Bill at the ministry headquarters and continue to receive anointed teaching books and personal letters after their conversions. This part of the ministry has proven itself over the last 36 years as one of the most effective ways of renewing the prisoners’ heart and mind. 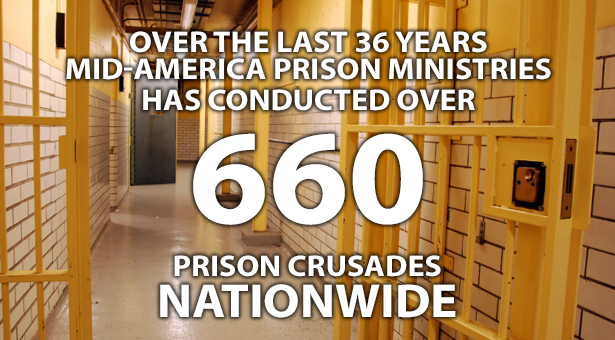 Prison crusades have always been conducted at the invitation of the prison chaplain. Most crusades are 3 days in length. The crusade team usually consists of 7 to 10 members who are partners of the ministry. Chaplains tell us that inmate correspondence with our ministry is always encouraged because of the positive impact it has on the inmates and their families. WHAT GOD HAS LED US TO DO BEHIND BARS IS WORKING!